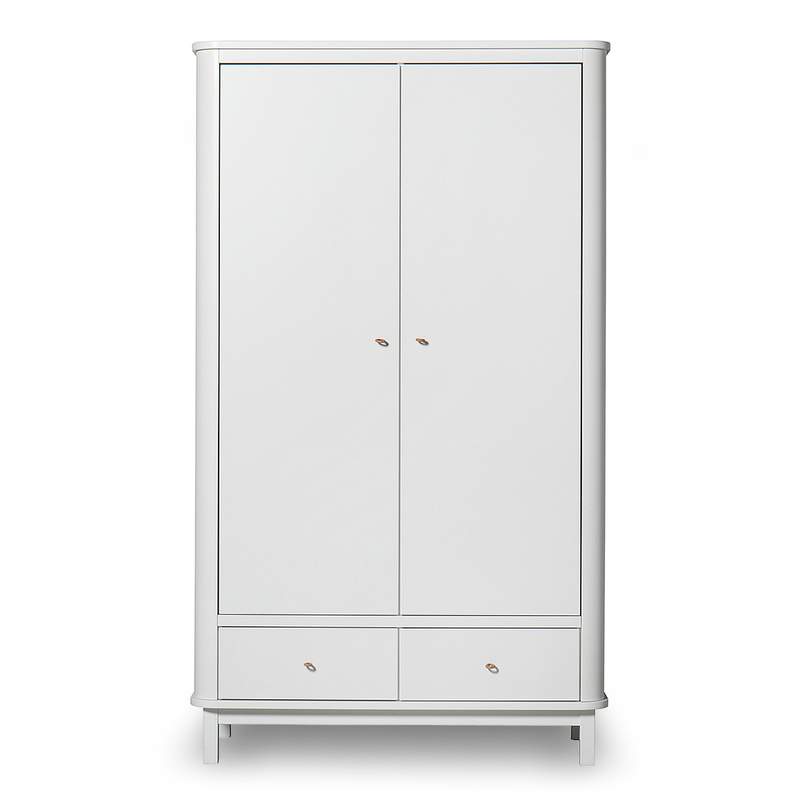 Wood 2-door Wardrobe by Oliver Furniture: a classy piece for your bedroom. 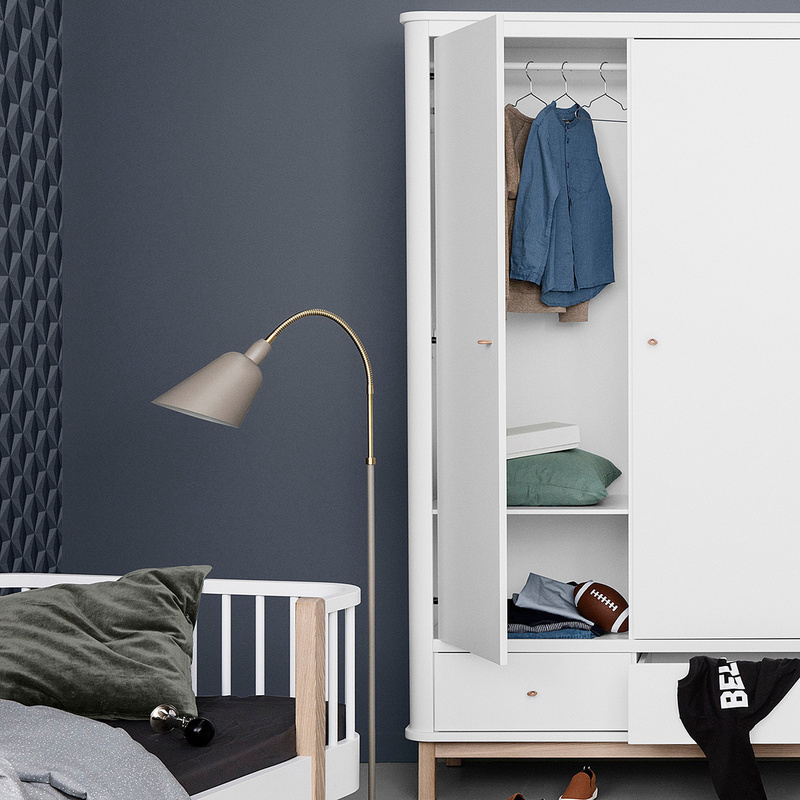 The Wood 2-door wardrobe is an elegant piece of furniture which can give style and personality to your bedroom, part of the collection of Oliver Furniture, a Danish company that often features pieces in classic Nordic design. 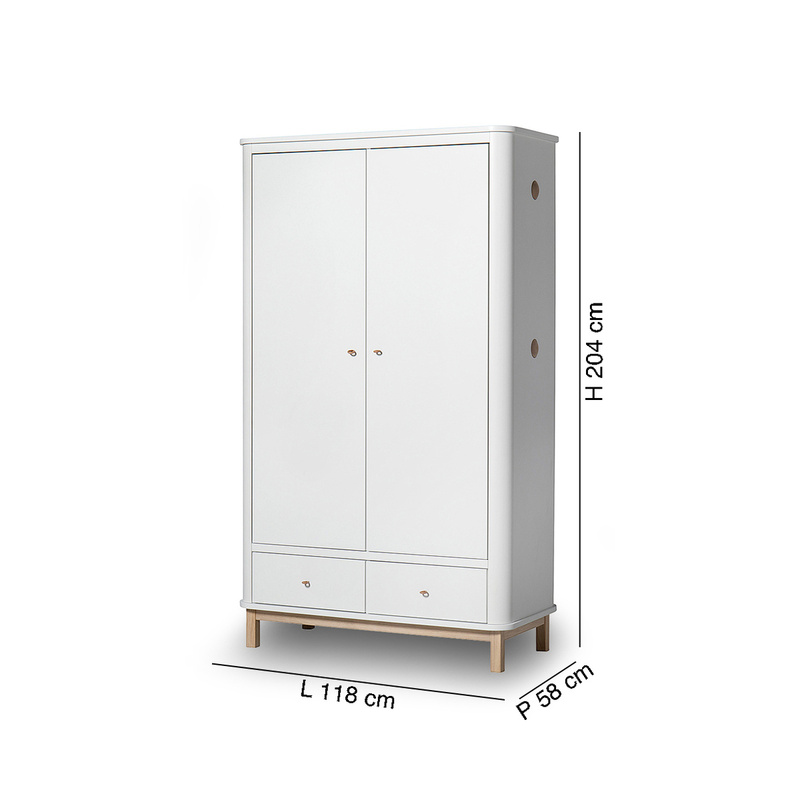 Handy and large, this wardrobe can hold any kind of garment without any problems, and offers two drawers located near the base in addition to the large double doors, while the 8 adjustable inside shelves and the innovative side hooks further increase the functionality of this item. 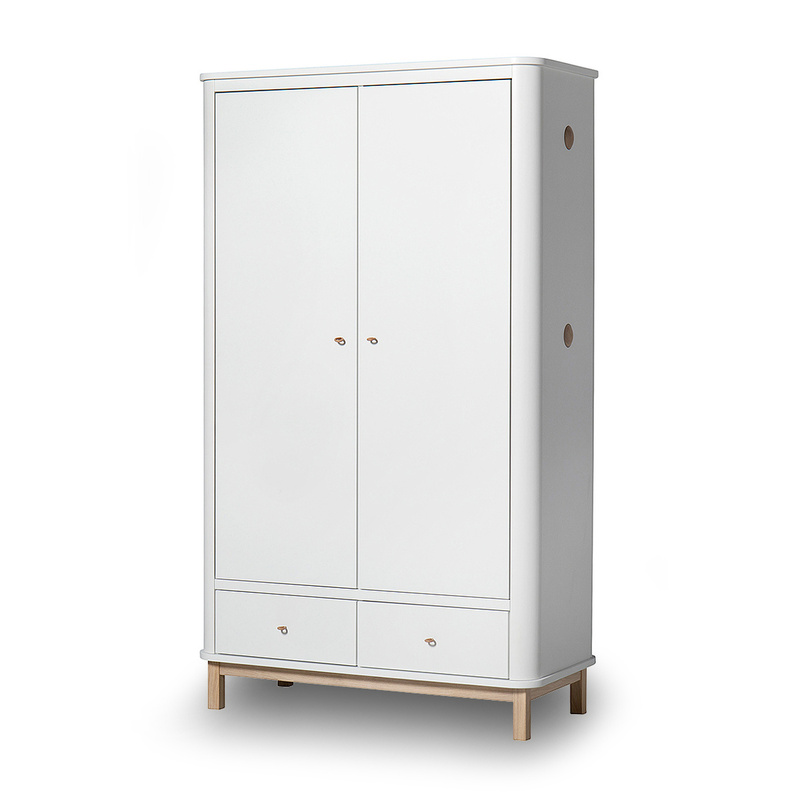 Several aesthetic features make Wood special, although it remains a very simple and classic item. 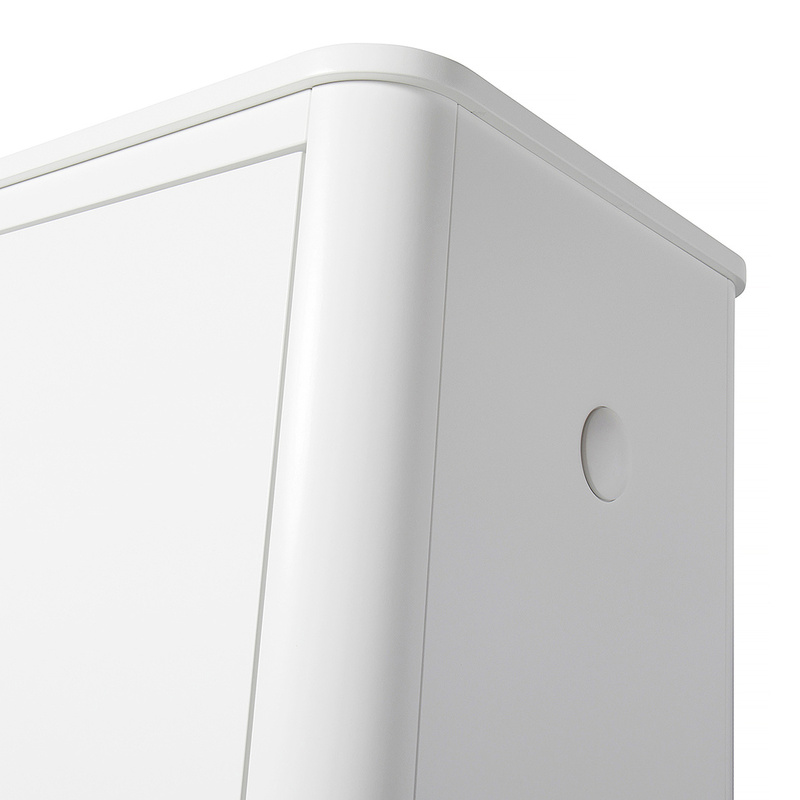 At a chromatic level, white prevails, giving a sense of brightness and luminosity both to the piece and to the room in which it is placed. 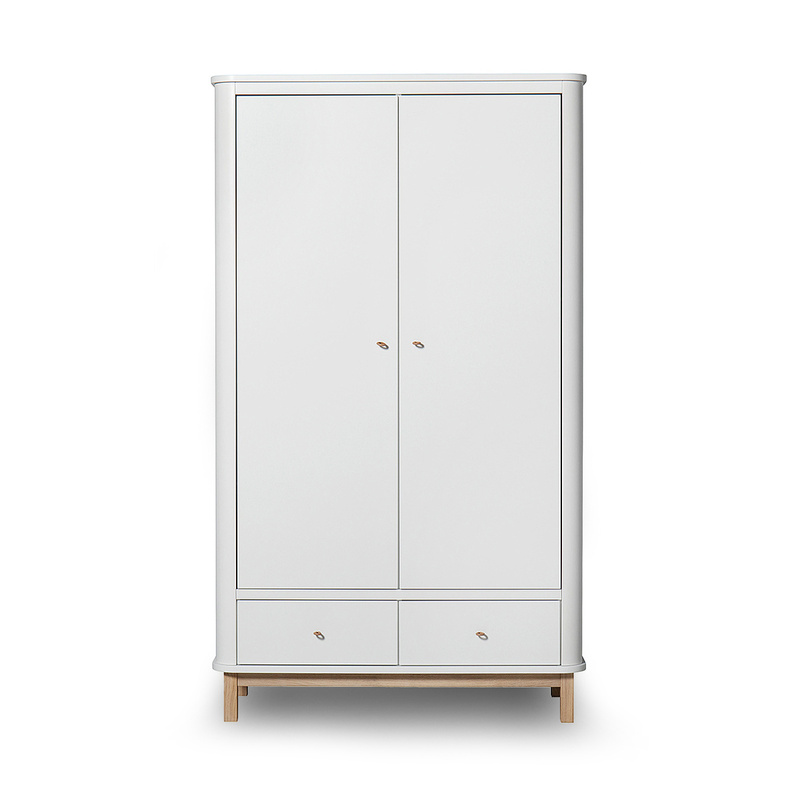 Furthermore, Oliver Furniture has chosen to avoid sharp corners and choose round ones instead both for the front of the wardrobe and for the side that will rest against a wall, a peculiarity which gives great visual lightness and avoids an overly-formal look. 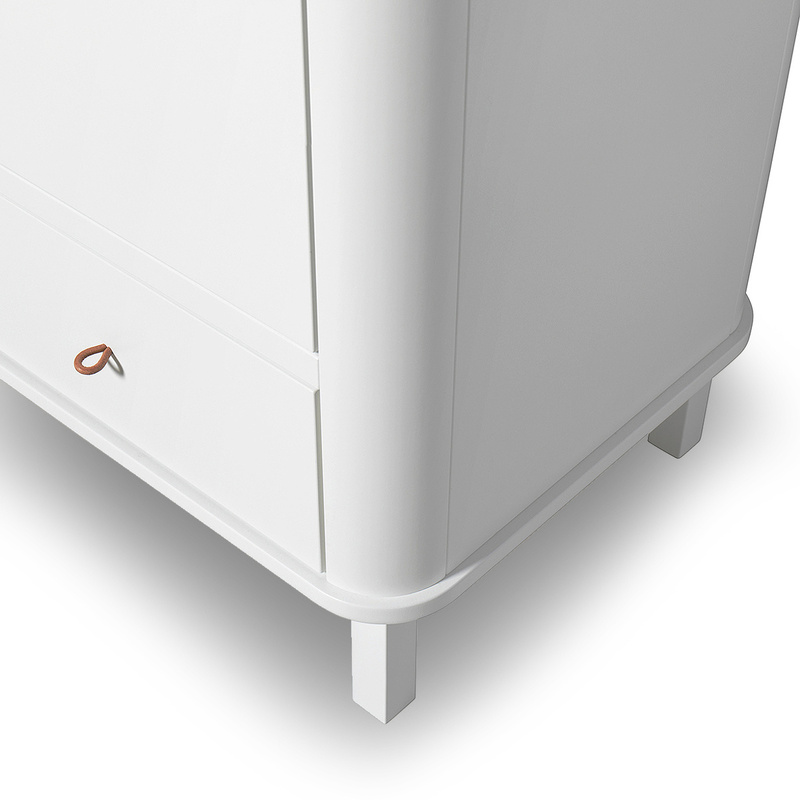 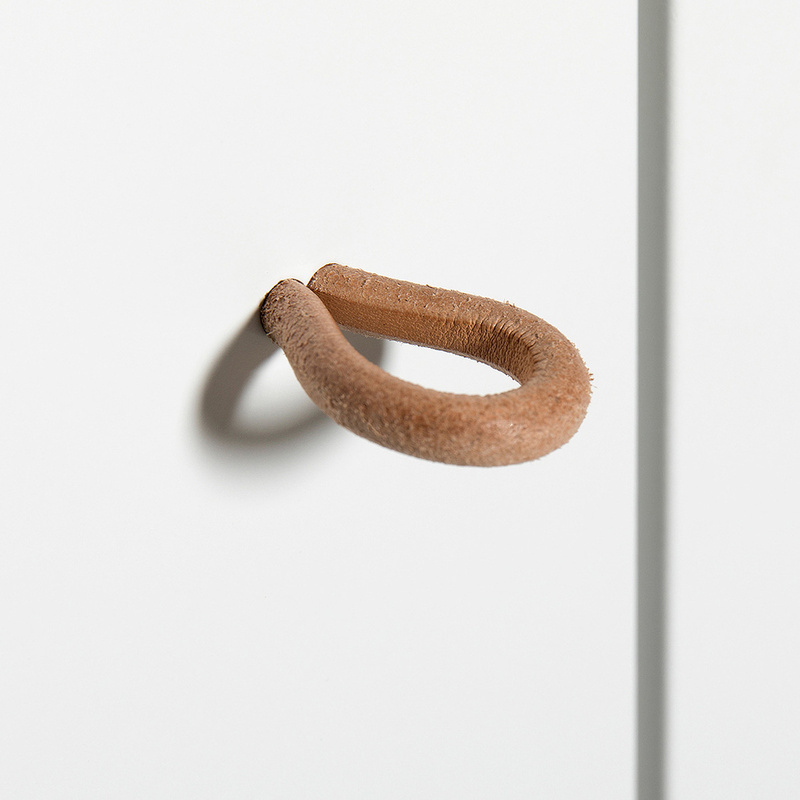 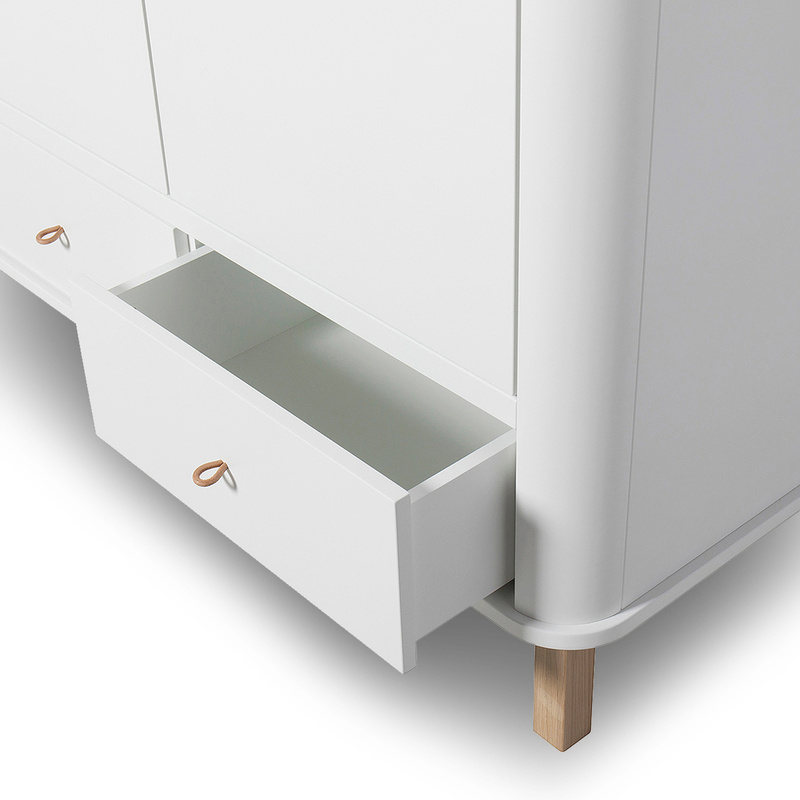 A special function slows down the closing of both drawers and doors so as to avoid fingers getting caught inside while both elements feature leather handles, another detail that points to high quality and to a piece that was designed to last a long time. 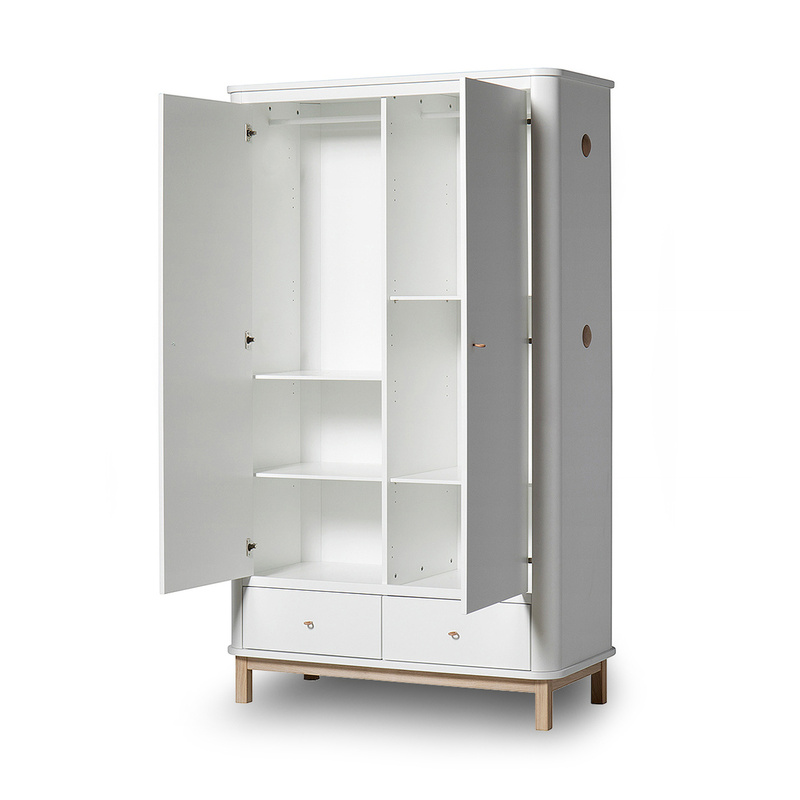 The brand in fact uses only selected raw materials, namely wood coming from forests certified by the Forest Stewardship Council which guarantees the continuous regeneration of green areas. 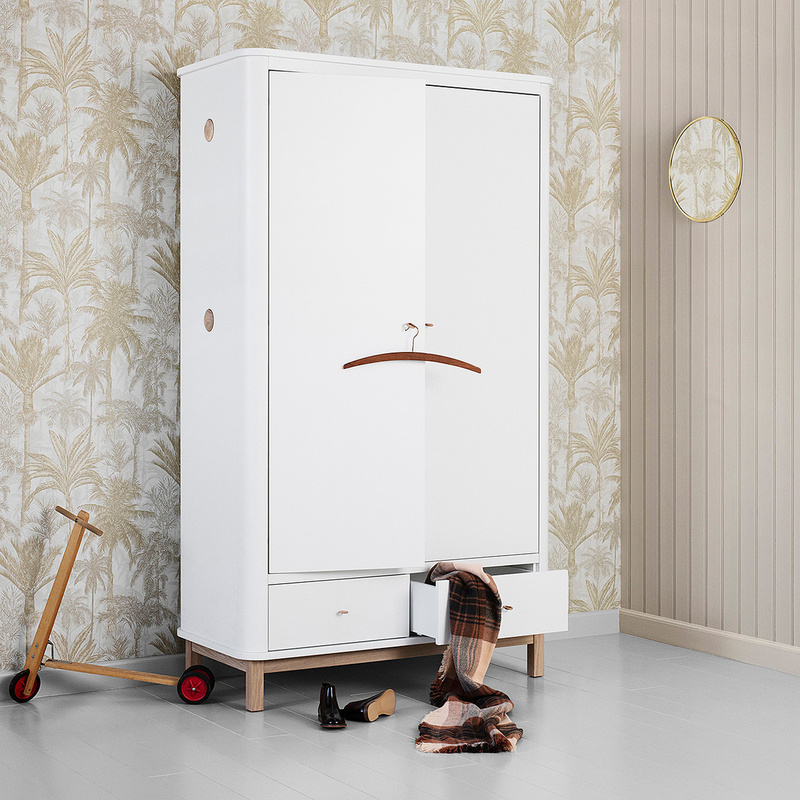 This charming wardrobe is meant to be one of the main pieces of furniture, whether placed in a single, double or children’s room. 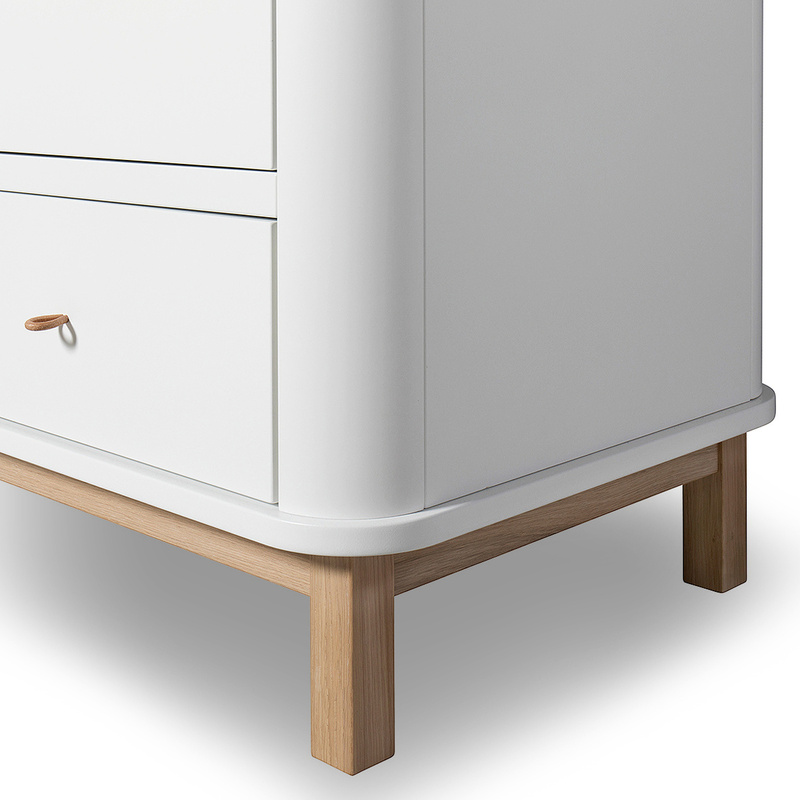 Indeed, its simple and clean lines make it easy to combine it with great versatility.